Microchipping is a process that helps tag your pet. With a microchip, you can be sure your pet is easier to find when lost. Pet microchipping is safe to implant and can help you bring home your cat or dog that is lost in Long Beach. Microchipping is a process during which a small cylindrical device is implanted into your pet's subcutaneous tissues. A small, hypodermic needle is used to do this. Once implanted, the device, which consists of a capacitor, connecting wire, covering and antenna, holds your personal information and information about your pet. That way, if your pet is ever lost, a simple scan will bring up your phone number, address and owner information. 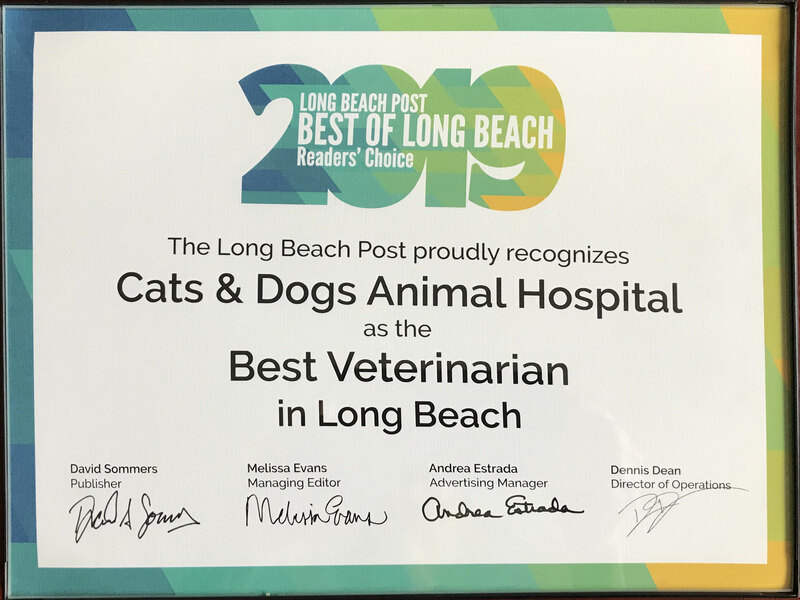 Long Beach is a beautiful place, but there are lots of ways for a pet to get lost. Microchipping has many benefits. The primary benefit is that your pet can be more easily found if lost. If your pet loses its collar, the microchip still contains all the information necessary to contact you. The programmable microchip also has the ability to transmit body temperature data, which is good if your pet ever falls ill.
Interestingly, all microchips are set on certain frequencies. The ISO approved the 134.kHz frequency as standard for animals, but others also appear in the United States. It's a good idea to use the standard frequency, since it's universal and helps bring pets home regardless of where they end up. Thanks to microchipping, approximately three out of four missing animals with microchips are returned to their owners. Microchipped strays were also more likely to be returned to their owners than animals without microchips. How important is a microchip statistically? Approximately 74.1 percent of missing pets are returned with microchips, while only around 13 percent make it home without a microchip in place. Microchip implantation is performed in a standard position. Normally, the microchip is implanted in the shoulder or upper back and neck when the scruff is pulled upward. A small syringe and needle is inserted before releasing the chip into the tissues. This helps prevent the chip from entering the spine or muscles where it could cause harm to the pet. Long Beach, CA 90814, or call us at 562-439-4228.